backups of a life system under linux – many answers and almost a science of itself. i guess you will have to try a handful of them out to see if they work for you and fit your needs. this article unfortunately is a bit chaotic. howtos should be separated from the overview – and to create a good overview with pros and cons of backup solutions is not easy – if you have not tested them all yourself. 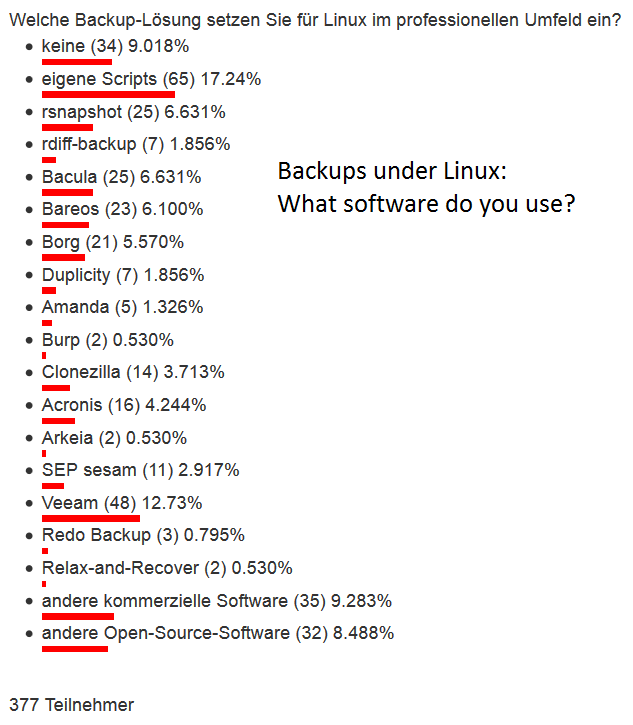 this is just a small survey with 377 participants – but it gives a nice „overview“ of what people were using to backup their linux boxes. 10% do not do any backups. Is it dumb to dump? there needs a possibility to pause the filesystem in an (as consistent as possible) state – backup that state – while the server keeps running and writing, reading, changing files. if you are running databases – consider using their backup-commands. you could do a file-wise backup of MySQL but you would have to stop the database before that. also restore might be complicated if not using the MySQL mysqldump/export command. But then how to do incremental backups then? So it is about exporting/backingup data in consitent state while staying online – MySQL can do it. can do incremental backups while staying online / live. Only strange thing about it is – it does not backup into files – but into raw unformatted partitions 😀 (tape drive times are coming back). dattobd (UNTESTED!) – solution to the Linux Snapshot Problem? to copy the original volume to a safe location. Many production servers simply cannot be brought down for the time it takes to do this and afterwards all of the new data in the COW volume must eventually be merged back in to the original volume (which requires even more downtime). This is impractical and extremely hacky, to say the least. The Datto Block Driver (dattobd) solves the above problems and brings functionality similar to VSS on Windows to a broad range of Linux kernels. Dattobd is an open source Linux kernel module for point-in-time live snapshotting. Dattobd can be loaded onto a running Linux machine (without a reboot) and creates a COW file on the original volume representing any block device at the instant the snapshot is taken. After the first snapshot, the driver tracks incremental changes to the block device and therefore can be used to efficiently update existing backups by copying only the blocks that have changed. Dattobd is a true live-snapshotting system that will leave your root volume running and available, without requiring a reboot. 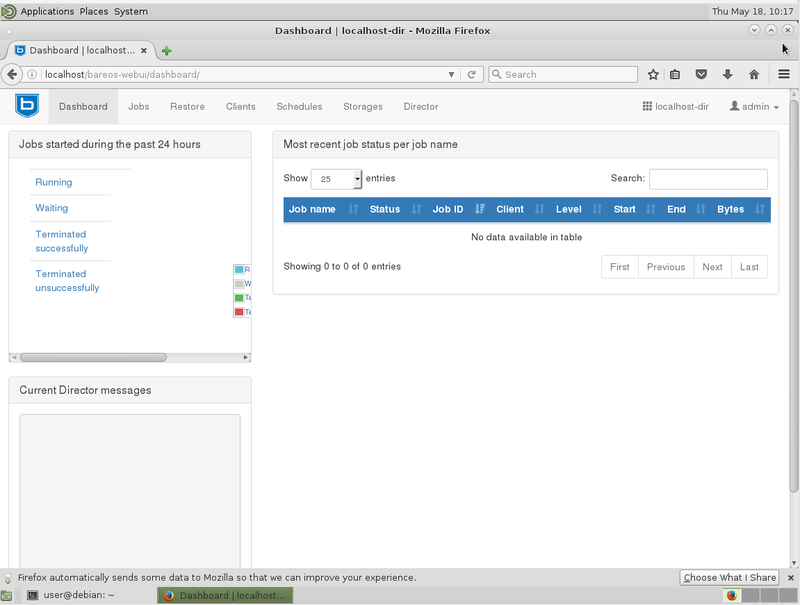 Dattobd is designed to run on any linux device from small test virtual machines to live production servers with minimal impact on I/O or CPU performance. Since the driver works at the block layer, it supports most common filesystems including ext 2,3 and 4 and xfs (although filesystems with their own block device management systems such as ZFS and BTRFS can not be supported). All COW data is tracked in a file on the source block device itself, eliminating the need to have a spare volume in order to snapshot.
. Other Linux distros should work similarly, with minor tweaks. Install the driver and related tools. Instructions for doing this are explained in INSTALL.md.
. This file must exist on the volume that will be snapshotted. 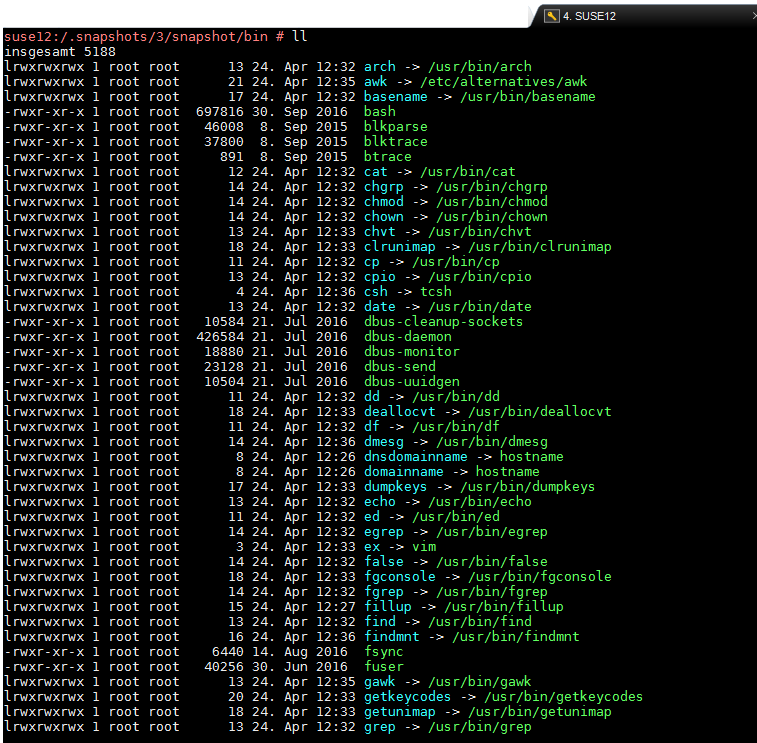 to reflect a later snapshot of the filesystem. Continue using your system. After the initial backup, the driver will probably be left in incremental mode the vast majority of time. file now contains a list of the blocks that have changed since our initial snapshot. We will use this in the next step to update our backed up image. It is important to not use the same file name that we specified in step 2 for this command. Otherwise, we would overwrite our list of changed blocks. created in step 3). It copies the blocks listed in the block list from the new snapshot to the existing image, effectively updating the image. tool (which only copies the changed blocks). If you wish to keep multiple versions of the image, we recommend that you copy your images a snapshotting filesystem (such as BTRFS or ZFS). You can then snapshot the images after updating them (step 3 for the full backup or 7 the differential). This will allow you to keep a history of revisions to the image. What i don’t understand – with MySQL you also get a mysqldump command – which can nicely be scripted to iterate ALL existing databases – and export/backup/dump them in a consistent state – to file.sql.gz – without stopping MySQL – without a fuzz. So in this term – MySQL since a lot of years can do „snapshot“/backups/exports – it can even do incremental backups! Nice! 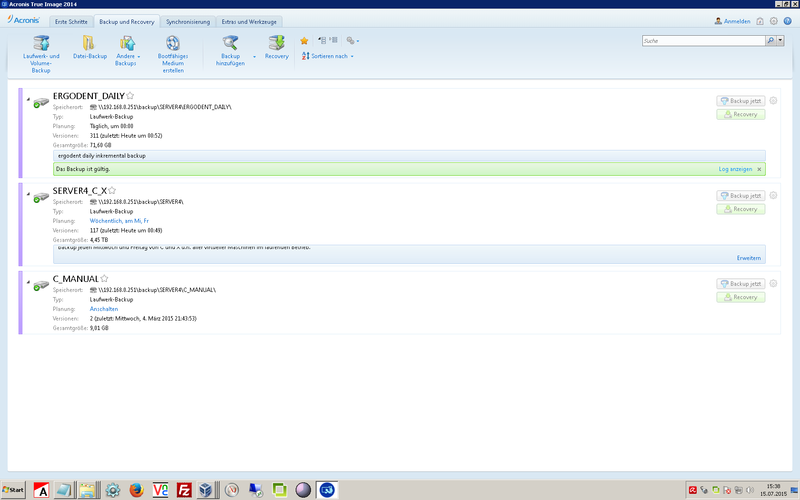 Acronis and ShadowProtect come with a nice management GUI. ShadowProtect uses the Windows-NTFS-build-in-VSS service. 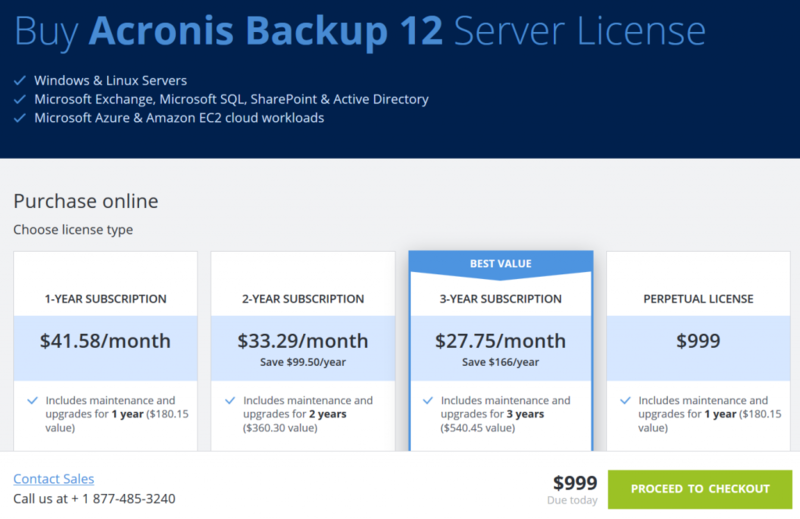 for Windows commercial backup software like Acronis True Image or ShadowProtect are sold – for as little as 1000USD – you can have the time-unlimited server version. Hurray! Microsoft TechNet Article: What Is Volume Shadow Copy Service? 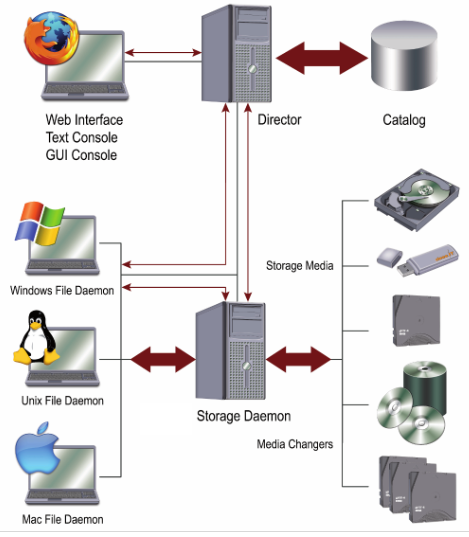 Volume Shadow Copy Service or VSS) is a technology included in Microsoft Windows that allows taking manual or automatic backup copies or snapshots of computer files or volumes, even when they are in use. is there a Linux VSS like alternative? 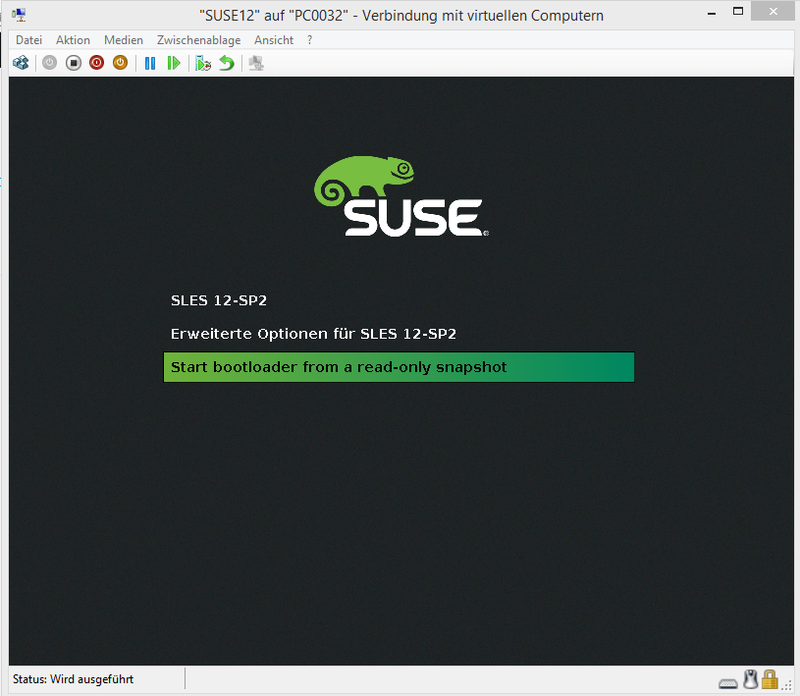 Two keywords are mentioned: LVM snapshots – and BTRFS (which SUSE12 is now using to make automatic backups of the installed OS). 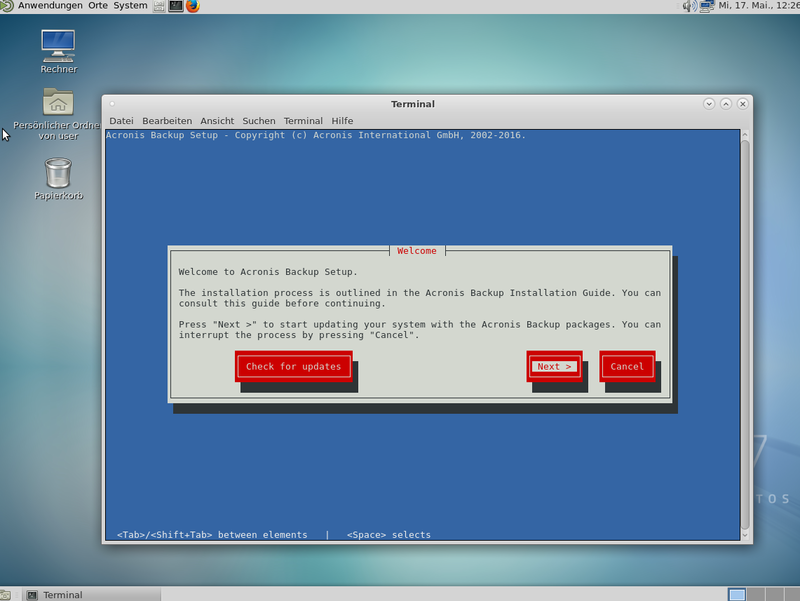 hardware independence – especially with the universal OS Debian (thanks guys! great work!) – try to boot a 1:1 copy of Windows that you transfer from server1->server2 – there are good chances you end up with a Bluescreen because of Windows HAL (Hardware Abstraction Layer). I – personally – copied my working Debian8 installations between laptop and desktop and was pretty happy i did not have to do all the re-setup sh**** that you will have to do with Windows – because of HAL. no sense if you get massive amounts of cool features – and then some funny day your files go corrupt. should be able to do full and incremental backups „file-wise“ of folders and files of mounted (online) partitions and filesystems – even (!!!) when the files are in use. should be able restore full os-installations and partitions/filesystems – maybe even from remote. it allows you to access BIOS from remote AND mount a CDIMAGE into a virtual drive to boot from… massively cool, if you need to manage servers during holiday (i hope not). this probably can not be done on a live-server (proof me wrong 🙂 – so it would be okay to have some downtime here… for the process of restoring. of course this is always a trade-off – between complexity/feature-set and user-friendlyness… let’s put it like this… it should be learnable in one day. ShadowProtect presents you directly with it’s complex but manageable GUI while Acronis tries to „look simple“ by hiding a lot of options first – that you have to search for later.would be good if GUI / command-set stays „consistent“ – meaning – not change every 3 months – so you will have to relearn „where is what“. Acronis loves to change it’s GUI with EVERY F**** VERSION. 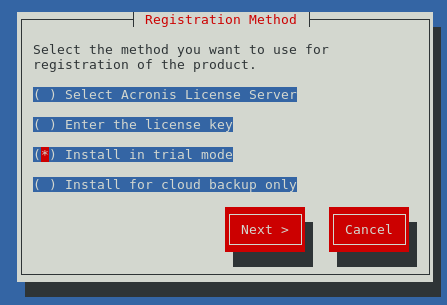 Here you can see the GUI of Acronis Version 14 (probably has changed a lot since then) – which is nicely done – you get a nice overview of what is backuped when to where. as i write this – Version 2017 seems to be recent – don’t ask me about their version-numbering logic – it is purely marketing based i guess. it certainly makes backup and restore and update-testing (does update break functionality) way easier. most virtualization products can do snapshots – but for this they usually have to halt the VM in some way (save state or shutdown) – until the process is done. So you will have to find a time-window where to do that. This does not hurt on most sundays – but some workaholics even decide to work from home on sundays. pretty cool… but probably just for disaster-recovery purposes (failed update) on a test-server… you would probably have to take that server offline – boot into read-only snapshot – backup – restore – boot read-write. What backup methods/software is there for linux? I guess most backup software for linux (except dd) is working file-wise. Duplicity devises a scheme where the first archive is a complete (full) backup, and subsequent (incremental) backups only add differences from the latest full or incremental backup. Duplicity is a software suite that provides encrypted, digitally signed, versioned, remote backup of files requiring little of the remote server. 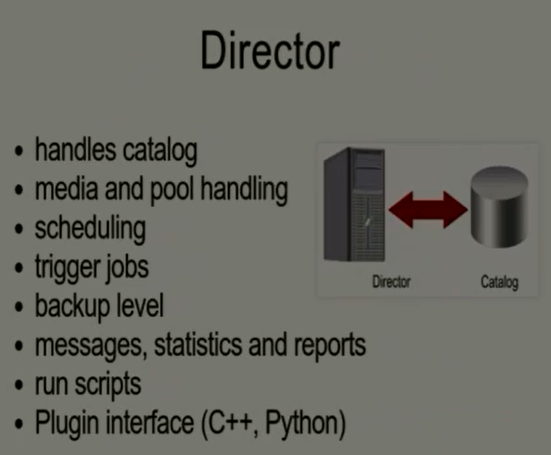 We used rdiff-backup for a few years as our primary backup method. It was great for what it did, but created tens/hundreds of thousands of small diff files across the course of a year. Most file systems and disks are going to struggle to deal with a million-plus file count. Backing up our 90GB Maildir-based IMAP store would take a few hours. I had to constantly lower the number of weeks/diffs that we would keep for history. In comparison, once we switched to Attic, nightly backups ran in only 15-20 minutes. That means it’s much more viable to keep a year’s worth of incremental backups to let you go back to any day within the past year. After using it for 6-9 months, I’m fairly confident that it’s as stable as rdiff-backup. I still do a multi-generation copy of the Attic directories using removable media, but each removable media has a full copy of the Attic repository. has built-in support for snapshot backups on Linux using either LVM or dattobd. An alternative to LVM snapshot is to use the datto block driver (aka. dattobd). I tried it and it works as expected on ext4 fs. There is also a working example (with scripts) given in the wiki. The “dump” will archive all of your files together into a single file like tar, but it also gives you a very simple way to recover individual files more surgically than the other options do. so where to go from here? what do you get? Error: You must specify either list, mount, umount or stop command. To work in the console mode, use trueimagecmd and trueimagemnt tools, described in Chapter 11. See also man trueimagecmd or man trueimagemnt. … i don’t have time for this. For the full list of remote installation prerequisites refer to the user guide of the respective product. SETUP DOES NOT WORK FOR DEBIAN! is nice if you want to do full disk-image save and restore via network-boot (!!!). You will have to setup a server (can be a virtual machine) that does that for you. it’s not super complicated to setup… but you have to be carefull… it comes with it’s own DHCP (must) – so you should NOT run it in your LAN. pretty new 🙂 fork from (complicated) Bacula in 2010 – first release 2013. It is probably designed for backups of thousands and thousands of computers… not what you might need in an household. 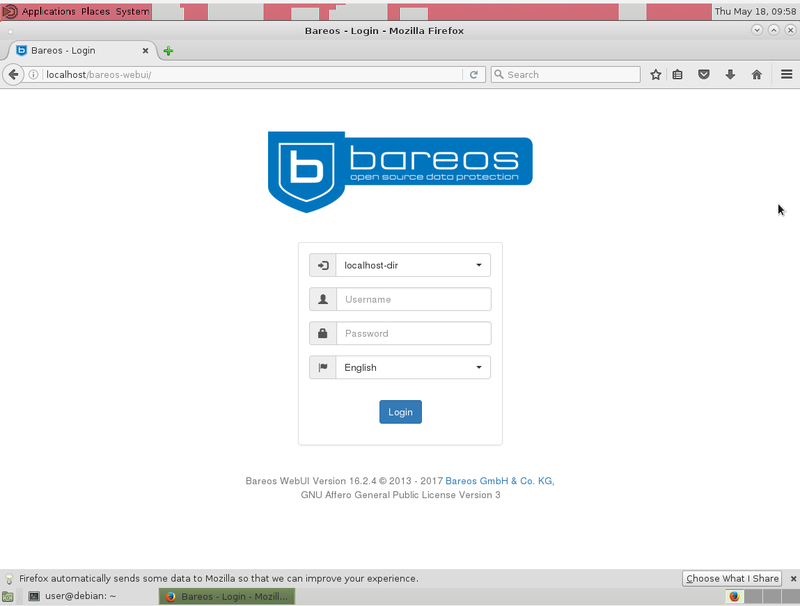 While bareOS itself is free and i show you here how you can get it installed (if its not complicated – it’s not from Germany :-D) – support is not free – https://www.bareos.com/de/Preise.html starting at 290€ per year. bat; # start GUI, e.g. on gnome2 + lightdm + MATE it looks like … right in your face… it is deprecated go web html GUI! Hurray! 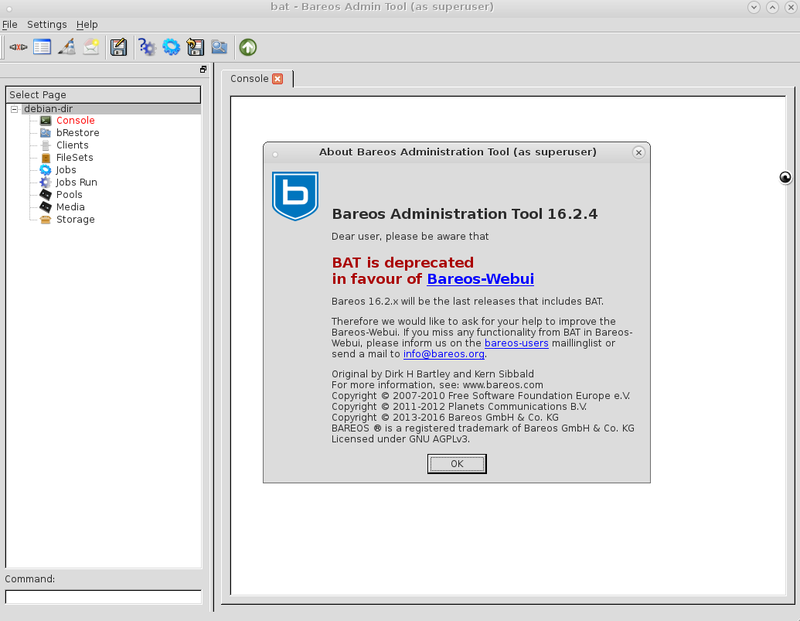 I managed to get bareos-webui working with Apache2. Those strange red artifacts at the top screen are exlusevly brought to you by Hyper-V.
### where to go from here? or: how do i schedule a backup? Actually rsync is doing a pretty good job – you can do reliable file-wise backups via rsync over ssh (public+private key automatic auth) over internet. You will have to script the incremental/versioning/revisioning stuff yourself. of course because of the lack of incremental – this consumes a lot of space. so you also need to consider – when to automatically delete old backups. highly complex backup solution for probably larger companies. In terms of revisions/versioning/snapshots – this can be done with only copying files that changed since last snapshot – anything else will be hardlinks/softlinks – that do not consume any space. Back In Time is a framework for rsync and cron for the purpose of taking snapshots and backups of specified folders. It minimizes disk space use by taking a snapshot only if the directory has been changed, and hard links for unmodified files if it has. The user can schedule regular backups using cron. This is the common framework for Back In Time. For a graphical interface, install backintime-qt4. To back up to SSH or encrypted filesystems, install the additional sshfs or encfs packages. Partclone is a program similar to the well-known backup utility „Partition Image“ a.k.a partimage. Partclone provides utilities to save and restore used blocks on a partition and is designed for higher compatibility of the file system by using existing libraries, e.g. 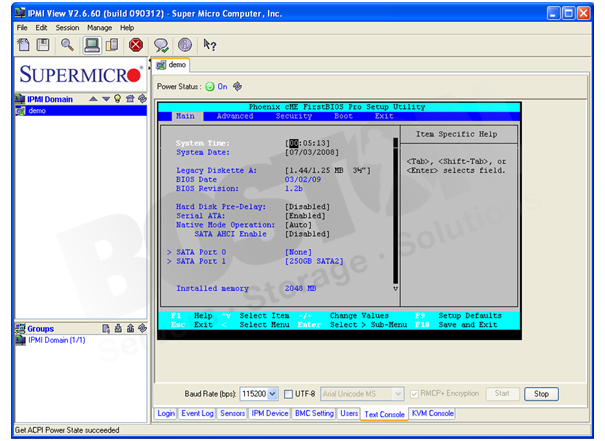 e2fslibs is used to read and write the ext2 partition. vbackup constists of a set of scripts that handle the various aspects of a backup. It can be easily extended to support other backup methods too. It can be used for full or incremental backups. It also includes a wizard for basic (quick) configuration. It can work with local files, handle NFS mounts or scp backups to a remote location. It also supports encryption using x509 certificates. * Suitable for single systems and small networks. * Reasonably simple; they do what you tell it to. It allows your organisation to perform remote backups of multiple servers in business critical environments to reduce risk and help DBAs during the recovery phase. What is the problem when dumping live filesystems? Is the problem peculiar to Linux? Can I use dump, then? Why not prefer one of the other utilities, if dump has these problems? Should I always verify the backups? Will dump be more reliable in the future? I think all these arguments are fairly bogus. Doing things like „dump“ on a live filesystem is stupid and dangerous (in my opinion it is stupid and dangerous to use „dump“ at _all_, but that’s a whole ’nother discussion in itself), and there really are no valid uses for opening a block device that is already mounted. Here’s Linus’s message, and here’s a related followup. [M]any system administrators with UNIX experience may feel that dump and restore are viable candidates for a good backup program under Red Hat Linux. Unfortunately, the design of the Linux kernel has moved ahead of dump’s design. The manual then quotes one of Linus’s messages and concludes that the use of dump is discouraged. However, the dump developers and many dump users believe otherwise. The problem is that the filesystem may be changing while you are dumping it. You have this problem with all backup utilities, but with dump it is more serious. When you are using tar, for example, a file could be changed at the time it is read by tar; in that case, that particular file would be corrupted in the resulting tar file. But whereas for tar this is a problem only if it so happens that the file is changed the instant it is read, dump could backup corrupted versions of files if they changed some time before dump attempts to read them. Let’s see why. 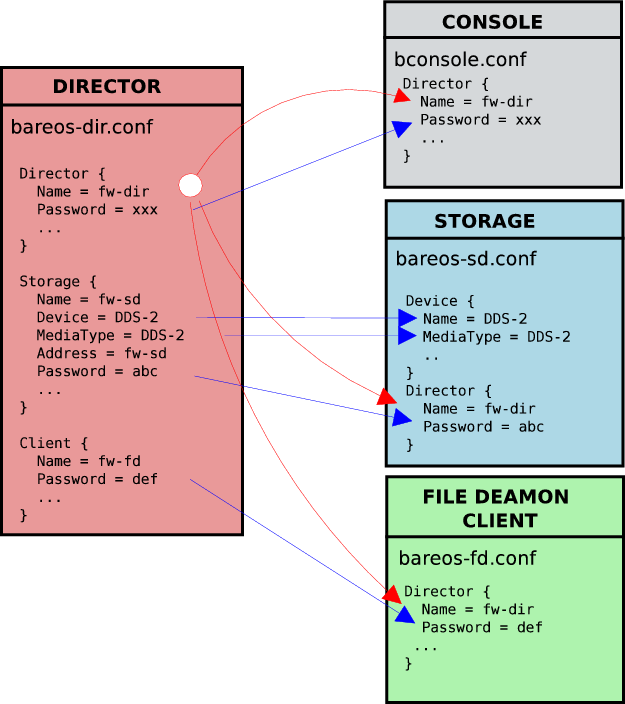 The kernel caches write operations to the disk. You can see this for yourself if you make some experiments with a floppy. Insert a floppy in the drive, mount it, and copy a file to the floppy; the operation, especially with recent 2.4 kernels, will appear to finish instantly. You can then do something like ls /mnt/floppy and see that your file is on the disk. But your file is not really on the disk; the drive’s light hasn’t been on at all. If you looked at the disk through /dev/fd0, you wouldn’t find your file there. You can force the file to be actually written to the diskette by unmounting the diskette, or with the sync command; if you don’t, the kernel will write the file on the disk when it sees it fit to do so. What’s more, the kernel might actually write half the file on the disk, and I guess that this will be usual with hard disks; when there are lots of pending write operations at approximately the same physical area of the disk, the kernel will probably choose to flush them, but it will probably choose not to flush other pending operations at distant areas, so as to minimize head movement. Thus, when dump reads the filesystem through the block device, it will get corrupted versions of some files if there are pending write operations; even worse, the metadata (filesystem structure) could be corrupt, in which case (a part of) the filesystem could become entirely unreadable. Is that problem peculiar to Linux? No. RedHat is in error when they claim that the design of the Linux kernel has moved ahead of dump’s design. Dump always had this problem, on all operating systems and filesystems, by the very nature of its design. Linus’s arguments are correct, but they are true for any operating system, not just Linux. Linus only said that with 2.4 the problem is worse than with 2.2; he did not imply that with 2.4 the problem is worse than it has ever been in any operating system. Actually in the first versions of the 2.4 kernel, the problem was worse, but this, as already mentioned, was a bug. Dump is a really popular backup solution among Unix system administrators worldwide, and it is not because those administrators are ignorant of the problems. First, you can safely use dump on unmounted and read-only filesystems. You can also safely use dump on idle filesystems if you sync before dumping (but can you be sure they are idle? a solution is to remount them read-only before dumping). You can also use dump on non-idle filesystems, but with caution. You must take care to dump when the filesystem is not heavily loaded; for example, I dump during the night, when only logfiles and mailboxes are modified, and not heavily. If your filesystem is always on heavy load, maybe you shouldn’t use dump. In addition, you should verify your backups; see below. The fact that dump reads the block device directly gives it several advantages. First, you can dump unmounted file systems. It has been reported that this is particularly useful in cases of filesystem error which renders it unmountable; in those cases, it is useful to dump the filesystem (to the extent possible) before attempting to fsck it, in case fsck causes further data loss. Second, dump never changes the filesystem while dumping it. The problem with tar and cpio is that they change a normally mounted read-write filesystem while reading it. The filesystem keeps three times for each file: the last modification time (mtime), the last access time (atime), and the last i-node modification time (ctime). When you read a file through a normal system call, its atime is set to the time of the access. You could then issue another system call to revert atime to its original value, as GNU tar does when given the –atime-preserve option, but in that case ctime changes to indicate an i-node modification. There is no system call to change ctime. If you choose to leave the atime modified, you loose valuable information. I use atime to determine if my users have lots of unused files occupying unnecessary disk space; I can tell a user off for occupying 3 GB of disk space 2 GB of which they have neither read or written for the last three years. In addition, when I’m lost in configuration files, such as XF86Config and XF86Config-4, I can tell from the atime which one is actually being used. If you choose to restore atime and change ctime instead, you’ll have other problems. Backup utilities normally consider files with changed ctime to be changed, and thus save them in incremental backups. In addition, security monitoring tools may signal possible changes in system and configuration files. 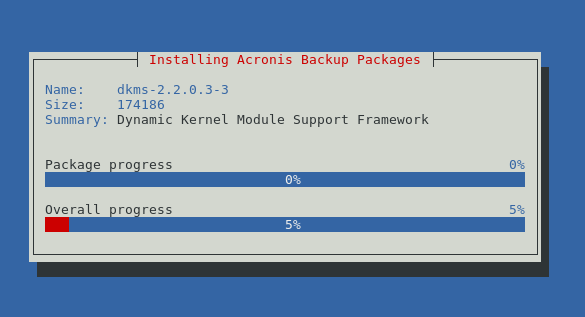 In Linux, the „noatime“ mount option causes the kernel to not alter atimes, so you can remount the filesystem with that option before tarring or cpioing and remount it again normally after backup. With this workaround you can use other backup utilities without altering the filesystem. Dump’s third advantage is that it works faster, because it bypasses the kernel’s filesystem interface. I don’t have any experience on this, but I suspect that now that the machines are faster and the filesystem caches are much larger, this advantage is less important than what it used to be. 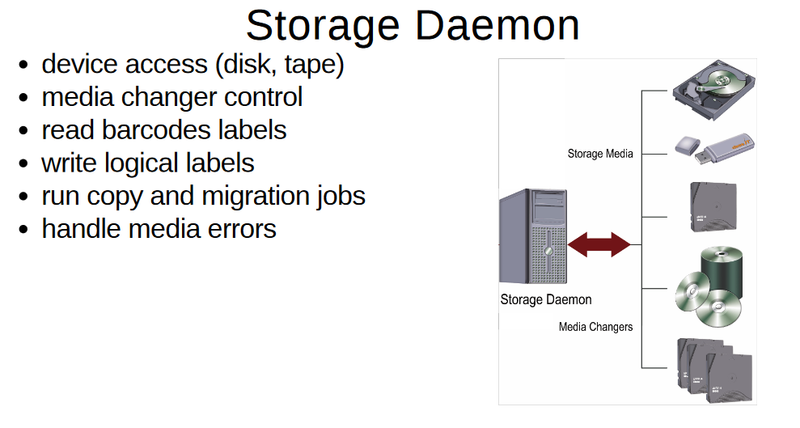 The above three advantages, namely the ability to backup unmounted filesystems, the fact that dump never changes the filesystem no matter how it is mounted, and speed, are rooted in the fact that dump reads the filesystem through the block device rather than through the normal filesystem calls. In addition, dump has some more advantages, namely ease of use and reliability. It’s much easier to get dump’s options correct than GNU tar’s. And, of course, dump’s complement utility, restore, does interactive restores whose user-friendliness and efficiency is unmatched. It is also frequently reported that dump can handle flawlessly all kinds of strange things, such as files with holes, files with unbelievably long filenames, files with unbelievably strange symbols in the filenames, and so on, and this reliability is probably due to the fact that it has been used so much. 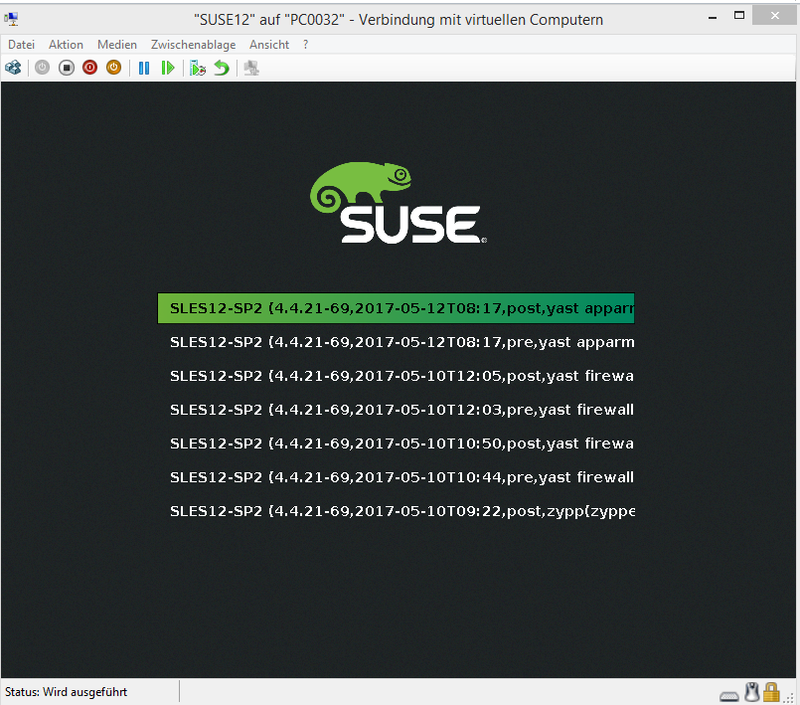 However, GNU tar is lately also reported to be exceptionally reliable. A drawback of dump is that it must know some filesystem internals. As a result, you can’t find dump for all filesystems. There is currently no dump for ReiserFS. However, many administrators only choose among filesystems supported by dump (currently ext2 and ext3), because they won’t consider using another backup utility. Suppose you have set the system to backup the files at two o’clock each morning. Suppose, further, that among the tens of thousands of files unknown to you, there’s a file, /home/yourboss/unbelievably_important_file, that happens to always change while you are backing it up. Maybe your boss has set a cron job doing something tricky at two o’clock in the morning. Let’s see another example. Among the files you backup at two o’clock each morning, there is a relational database which is live 24 hours a day. You obviously don’t want to backup its datafiles directly, because they would be in an inconsistent state. For this reason, you perform a database export and, instead, backup the export file together with the rest of the filesystem. You know the exporting takes about two minutes, so it’s really safe if you do it a whole hour before dumping/tarring. But instead of „0 1 * * * dbexport“, your finger slipped and typed „0 2 * * * dbexport“, and your eye failed to register the error (I always have to look up crontab syntax). Exporting takes place at two o’clock each morning. You have no backup of your database. Or, maybe you typed the crontab alright, but your assistant changed it. Or maybe your crontabs are perfect, but for some strange reason, there’s always a transaction happening at one o’clock in the morning, and it stays open until two, and it causes the exporting to pause for exactly an hour. These things may be far-fetched, but you have seen stranger things than those happening, haven’t you? And even if you somehow take care that none of the above happens, you can’t guard against a hundred other things which I can’t think of and you can’t think of, but will happen. As these scenarios work perfectly whether you use dump or one of the other utilities, you must always verify the backups. Not only verify them; you must also test them. You must keep a recovery plan, and must regularly follow it to bring up a copy of your system from scratch. This, unfortunately, does not always work. You’ll certainly know you can bring up your database, but you probably won’t know you failed to bring up /home/yourboss/unbelievably_important_file, because you won’t know it exists until your boss comes and asks for it after a real data loss. If you use „restore -C“ to verify the backups, you may want to remount the filesystem with the „noatime“ option, otherwise „restore -C“ will change the atimes of your files. All this shows that there are issues with backup that are much more important than dump’s problems. Backup is one of the trickiest parts of system administration, and although Linus is technically correct when he points out dump’s problems, he fails to see that these problems are but a small part of the big mess the administrator has to sort out in the real world. Today some solutions exist for creating snapshots for filesystems which are part of a LVM or a EVMS installation, but for most filesystems you can’t have snapshots as the Linux kernel doesn’t support them yet. written by Antonios Christofides, September 2003. Questions, suggestions, and comments should go to the dump-users mailing list. Despite appearances, I’m not a dump expert; I just wrote up. But if you really want to email me, my address is anthony@itia.ntua.gr. Permission is granted to reproduce and modify this document, provided that this notice remains intact and that no name is removed from the list of copyright holders (add your name if you make substantial changes).